The Hermle Mikal BK 23021-Q70721 Cobalt Blue Keywound Table Clock is a Contemporary design Open Gear table clock with Cobalt Blue eloxed aluminum pillars and a German mechanical 8-day skeleton movement. The blue aluminum pillars are Eloxated into a dense, very hard oxide layer in an electrochemical reaction increasing the resistance to corrosion and durability. 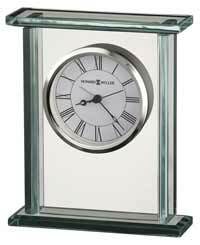 Distortion proof transparent Plexiglass top and bottom allow the clock gears to be easily seen while adding superb support. 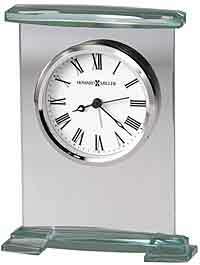 Adjustable polished nickel pendulum may be set for excellent time keeping. 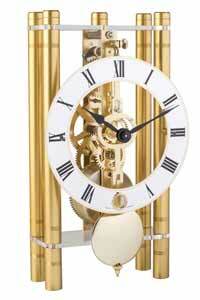 Translucent dial with traditional black Arabic numerals for easy viewing. 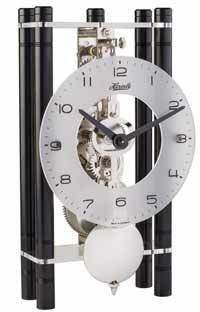 Modern black hands where time is set by moving the minute hand forward. 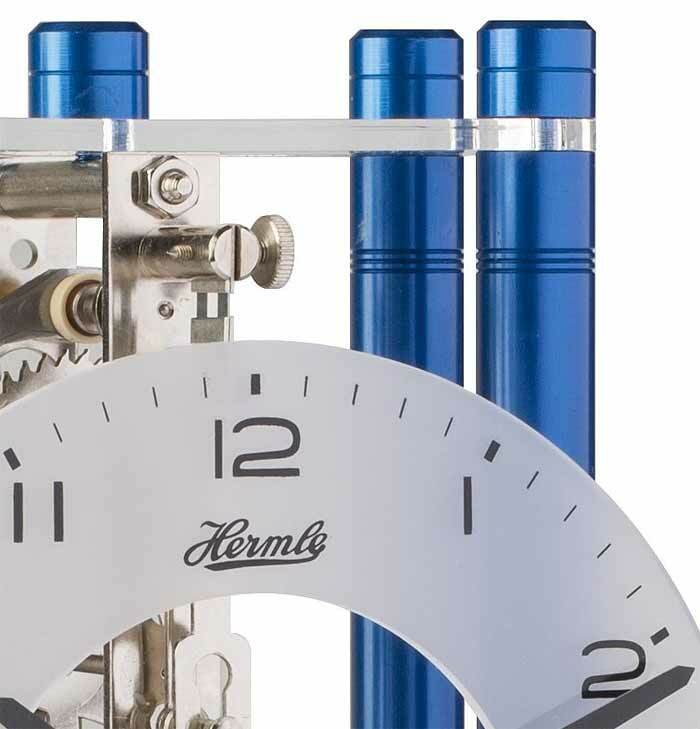 The Mechanical nickel-plated non-chiming 8-day skeleton clockworks should be wound weekly. Made in Germany. Three Year Warranty and Free Shippng. 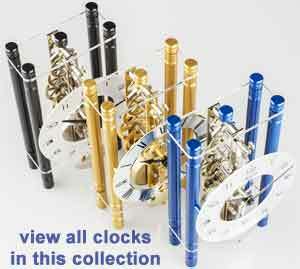 Size: Height 7.7", Width 4.3", Depth 3.5"
Clocks for sale at The Clock Depot including the 23021-Q70721 at discount prices.